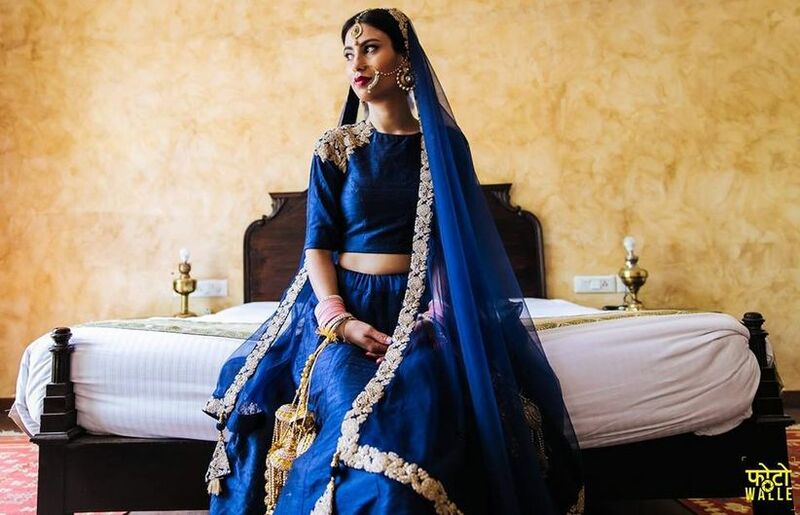 A Smart Guide for the Millennial Bride to Find Bridal Lehenga with Price for Every Occasion | Wedding Tips ARE YOU A VENDOR? 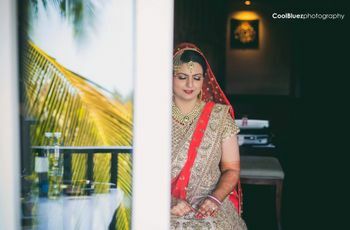 Find all the tips and tricks you need to find lehengas for every event of your wedding regardless of what budget you may have. Here is a guide to bridal lehenga with price approximation. Bridal dresses are exquisite but that also makes them expensive. The best part is that there’s something for every taste and every budget. You can buy bridal lehengas from the top-notch fashion designers or choose your fabric and get a custom fit lehenga done. Lehenga is one of the prettiest and most surreal attires that looks great on all wedding functions. 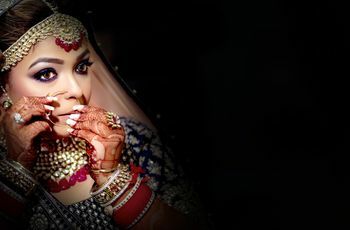 It is the bridal lehenga teamed with the graceful bridal makeup and hairstyle that give every bride her unique look. Whether you are the bride, the sister of the bride or even a friend, there’s a perfect lehenga for everyone. We have listed a few bridal lehengas (with price) depending on different wedding functions. 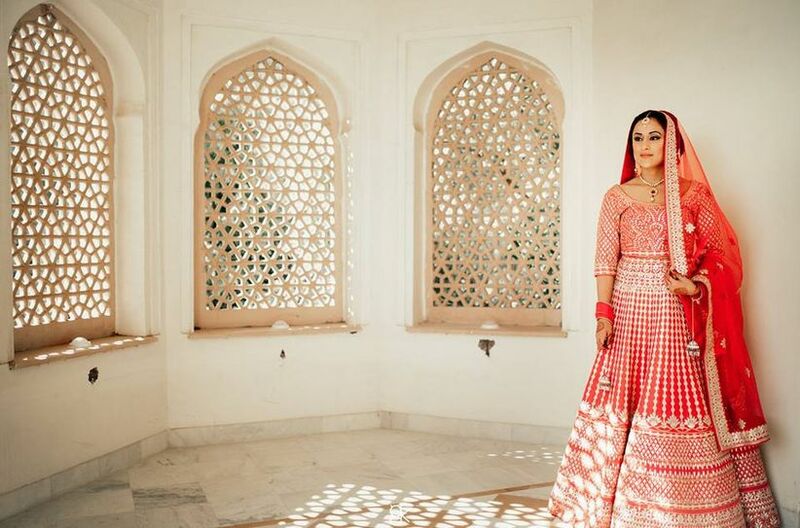 Depending on the brand, a wedding lehenga can range anywhere from ₹20,000 – ₹5,00,000. 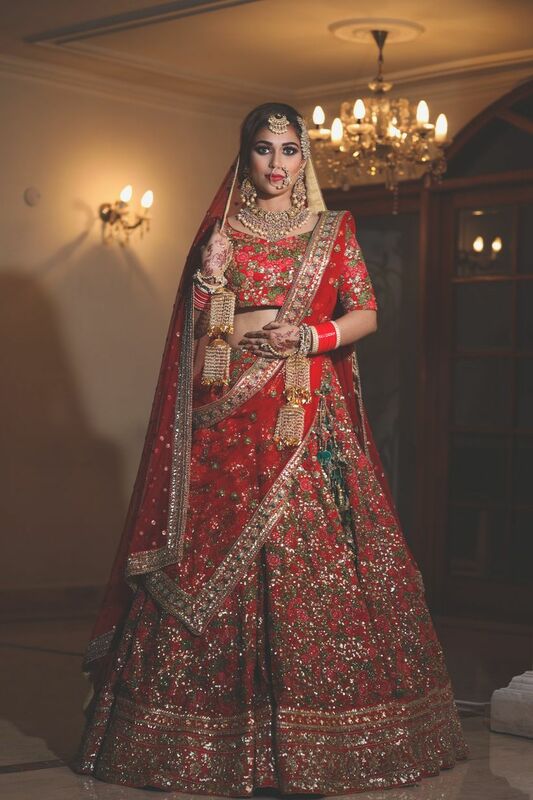 When looking for a bridal lehenga (with price) you need to ascertain basic factors like material, brand, amount of handwork, kind of handwork and more. The richer the fabric and more detailed the work is - higher the price. Same is true for the bridal gold jewellery designs with price. Also, if you want to buy a designer bridal lehenga like Sabyasachi or a Ritu Kumar, you will be paying for the brand name too. Another factor that affects the overall price is whether you buy a readymade lehenga or get it custom-made. Sourcing your own fabric and then getting it stitched usually turns out cheaper but only if you have the right sources. 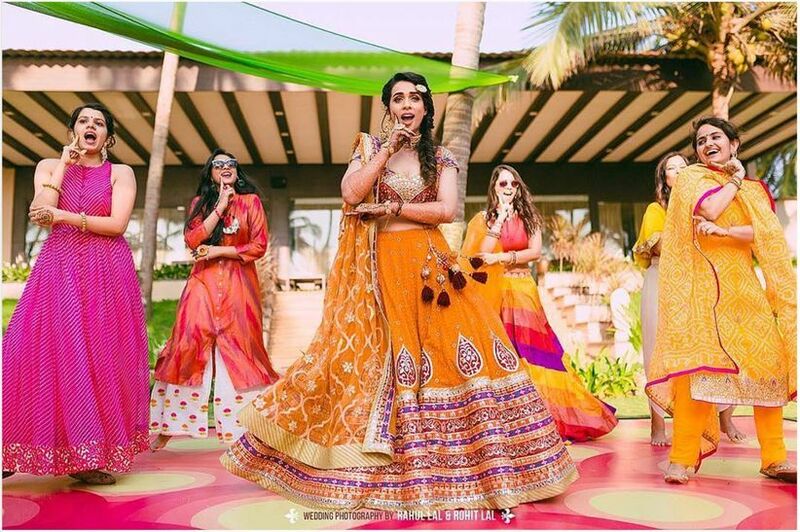 The wedding reception lehenga can be anywhere from ₹10,000 – ₹1,00,000. Again, this depends on whether you are buying a designer label or from the local stores. A reception lehenga usually has lesser work and detailing that brings down the price of the lehenga. Also, women generally prefer softer and flowing fabric like georgette or crepe as the base for a reception lehenga. The material has a great sheen and flow, thus, simple and less work does the trick. 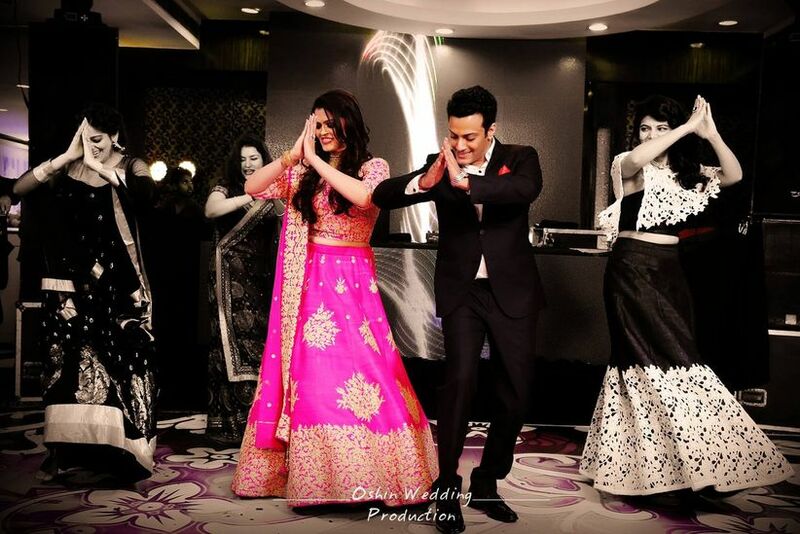 Sangeet function is all about fun, food, dancing and excitement, and so should be the lehenga! For a Sangeet function, you can buy a lehenga as cheap as ₹5,000 – ₹30,000. Go for bright and fun colours, with bold work and fun elements. You can get a plain skirt and add different layers of borders to create a fuller and heavier look. Team up your Sangeet lehenga with fun hair accessories, lots of bangles and Juttis to be able to dance the night away to the beats of Mehndi songs! When sorting out bridal lehengas, the lehenga for the Mehndi function falls under the least expensive ones. You can mix and match the skirt, blouse and dupatta and create a lehenga for anything between ₹2,000 – ₹5,000. Just wear bright and vibrant colours and add fun accessories like jewellery made from fresh flowers or Gota. Even an absolutely plain skirt with a metallic belt and a heavy blouse will get you Mehndi-ready on a budget to sport the gorgeous bridal mehndi designs. If you are planning to wear a lehenga for your Haldi ceremony, don something that is as flowy as this one and preferably has a wide neck. With a wide neck, you will always have the option of simply wiping the haldi clean and be good to go for the rest of the function. Such lehengas are readily available in the market within a price bracket of ₹3,000 - ₹7,000. Since it is the Haldi ceremony, it would be prudent to avoid any jewellery until after haldi is applied to you. Post that you can flaunt any statement earring with that wide neck blouse of your wedding lehenga. It’s easier to look for bridal lehengas when you know the function you want to wear it to. If you have a themed wedding, make sure your lehengas stand out against the décor and doesn’t blend into them. Also, remember to choose a bridal lehenga that compliments the groom’s sherwani. 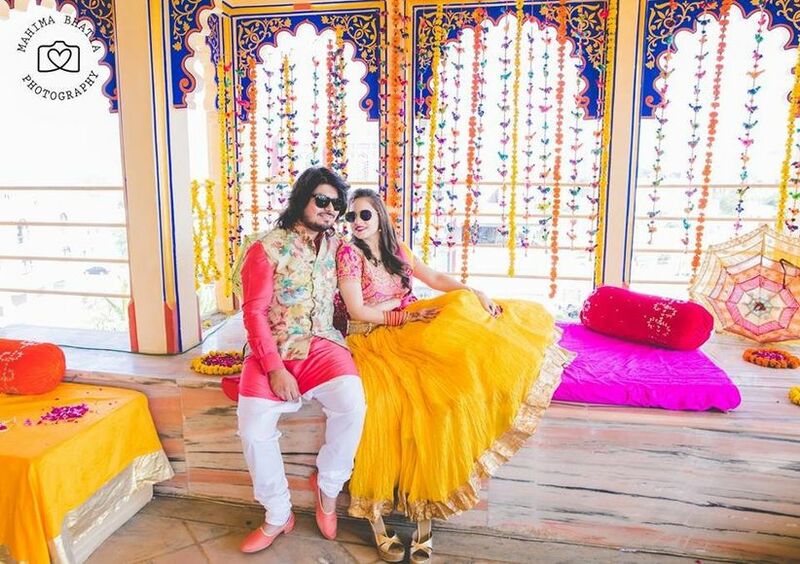 Coordinated outfits for the bride and groom is a booming trend these days. Be it through colour coordination or the print. You'd be surprised to see the kinds of options available in the market today. But don't assume that your partner will be the right shopping companion for you when you go looking for coordinated outfits. It would be best to avoid taking him as a shopping companion if he is inexperienced in that department. Have you planned your bridal trousseau shopping yet? Let us know the outfits you have in mind, in the comments below. 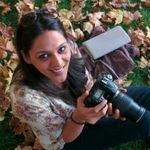 1 comment in "A Smart Guide for the Millennial Bride to Find Bridal Lehenga with Price for Every Occasion "
That was quite an useful read! !